Use the code FLEA2019 on a purchase of 2 or more tickets to get Rs. 50 off per ticket! (T&C apply). What happens when you throw in some of the country’s best independent designers, home chefs, storytellers, artists and outliers all together in one big cosmopolitan mix of fun, food, music and shopping? The Lil Flea of course! 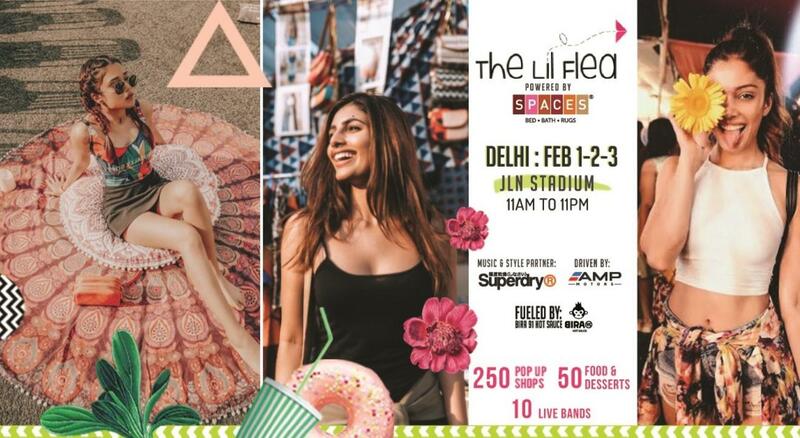 India’s Happiest Flea Market, The Lil Flea, a massive celebration of shopping, food, music and happiness is all set to come back to Delhi this February with its Second Edition. 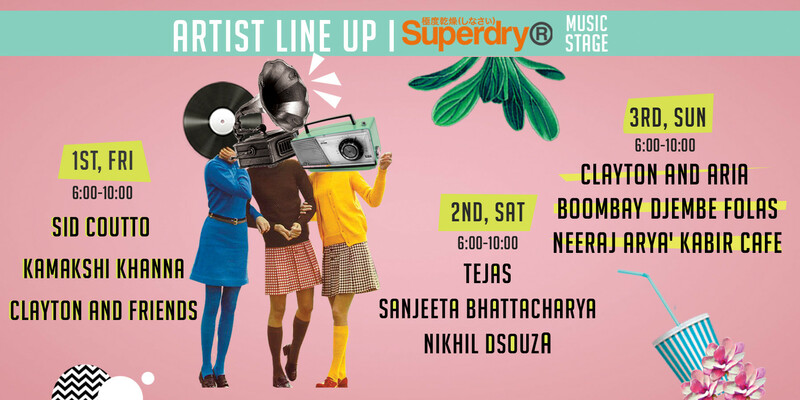 Hugely popular in Mumbai, over the years it has become not just one of the hippest festivals with beautiful vibes & lovely bohemian decor, but also a fantastic platform & community to discover creativity within art, music, food, crafts and textile. It’s THE place to be at if you’re someone who has an eye for all things independent and handmade. The Lil Flea is an effort to bridge the gap between the creative makers of all hues and the discerning consumer and if you fall under any of these two categories then you shouldn’t be missing this. With over 200 hand-picked homegrown brands from across the country, which you cannot find in your neighbourhood mall, they bring you everything from shoes, bags, apparel, jewellery, accessories to home decor & stationery. You & your wardrobe will definitely thank The Lil Flea later. Food in itself is amazing but food in Delhi is a milestone experience, add to it the The Lil Flea touch and you have a menu that literally calls out to your tastebuds. Discover carefully curated food pop-ups brought to you by new-on-the-block and experienced chefs of the local community as well as a variety of delectable sugary treats. We promise your gonna have the best of both worlds at this amazing festival. An eclectic mix of some of the country’s best original and indie music for the playlists that are open to suggestions and the hearts that aren’t afraid to hum along. Alt entertainment such as comedy, poetry slams, open mics and magic for those looking for that extra mile in their entertainment. Bring a book. Leave a book. Because no one can ever have too many stories to tell or too many stories to read. Calling out to those who would like to bring nature back into their lives. Collect free seeds or adopt some happy new plants to take back home. A Festival for the Creative Entrepreneurs! With an ever increasing popularity and phenomenally rising footfalls with every edition, The Lil Flea has played a game-changer for many small brands. Some of Mumbai’s current favourites like Pack-A-Pav, Hoppumm, Stick House, Desi Hangover, Kanvas Kloset, Soulworks, Sky Goodies are just some of the brands who started their journey from this happy place. Amidst the 9-5 and the red & green of the traffic signals, you can expect to find a little time to just pause and unwind in the celebration of artistic spirit that is The Lil Flea. Bringing together like-minded people who crave freedom, joy and happy vibes, the atmosphere at The Flea grounds remains bubbling with the simple joys good food, good music, good art and good company bring even as the evening passes by each day. This beautifully put up festival is an aesthetic delight to look at and an Instagram goldmine to be at. Gate No. 14, Jawaharlal Nehru (JLN) Stadium, Pragati Vihar, New Delhi, Delhi 110003.